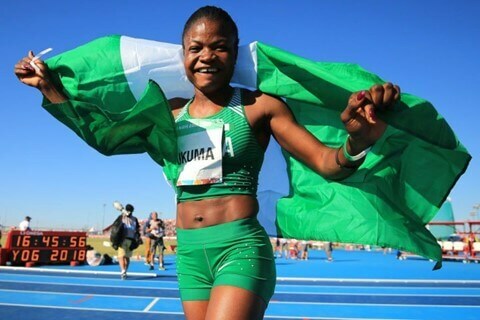 Buenos Aires: Nigeria’s Rosemary Chukuma won the high profile women’s 100m race at the Buenos Aires Youth Olympics. Chukuma finished third in the first heat with a time of 12.03 seconds, but cut almost a second off her second attempt, crossing the finish line at 11.17 seconds before claiming the gold on Monday, reports Xinhua news agency. “I am happy and satisfied because before coming to Argentina I did not have good results,” Chukuma said. The Youth Games are set to close on Thursday.